What a fun way to celebrate winter! 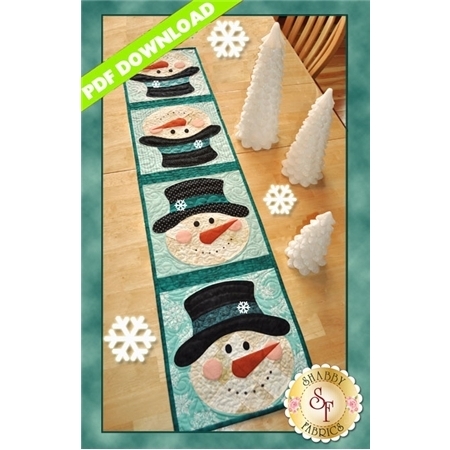 This quick and easy table runner pattern features easy patchwork and simple applique. Finished size of 12 1/2" x 53". 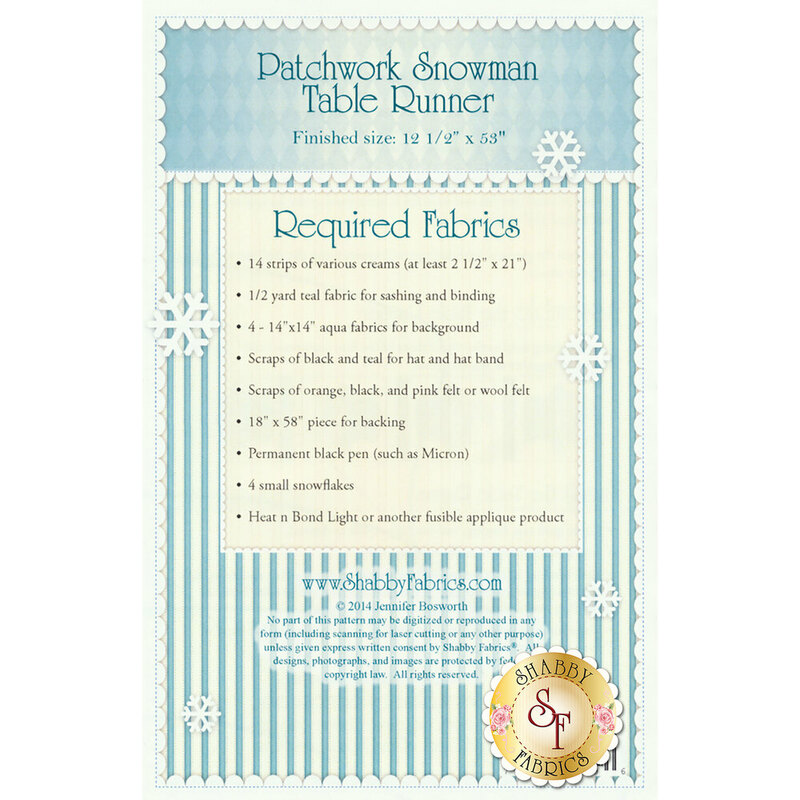 Designed by Jennifer Bosworth of Shabby Fabrics.